Would you love more, dream more, and find ways to live more? 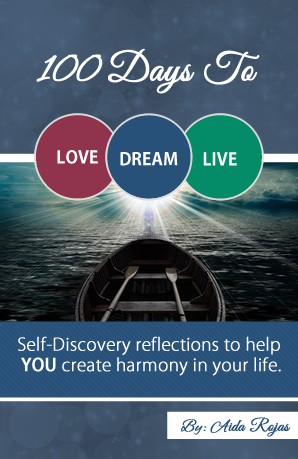 In this Self-Discovery book I share with you personal insights that can help you create harmony in your life. These reflections are designed to stir your mind and pull at your heart’s strings, with the hope that you may ask bigger questions and learn to trust yourself more. For 100 days we will walk on this journey to help you love more, dream more, and live more.